One of my favorite shortcuts is to use leftover rotisserie chicken for quick meals. 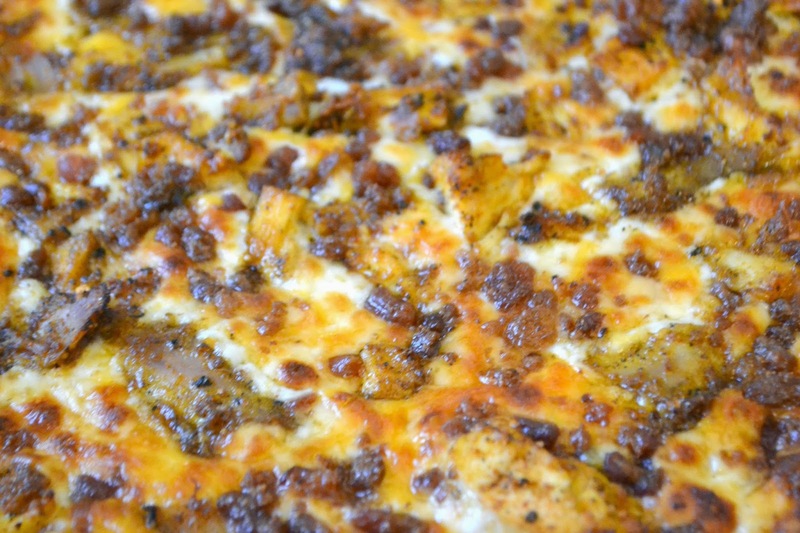 Today I am featuring my BBQ Chicken Pizza made from just a bit of leftover chicken. Whenever I head to the wholesale club I buy several of the precooked rotisserie chickens and put them in the freezer. Sometimes I just take one and shred it down first into easy to grab bags for even faster dinners. I have tweeked and tweeked my pizza recipe to just how my family. I think my bbq /pizza sauce combo is just right. The other secret trick is the seasoned chicken meat. Just adds to that bbq taste without all the sauce! Optional: Onions: either green onions, or diced red onions, or even caramelized onions. In small bowl mix together bbq sauce and pizza sauce. Set aside. 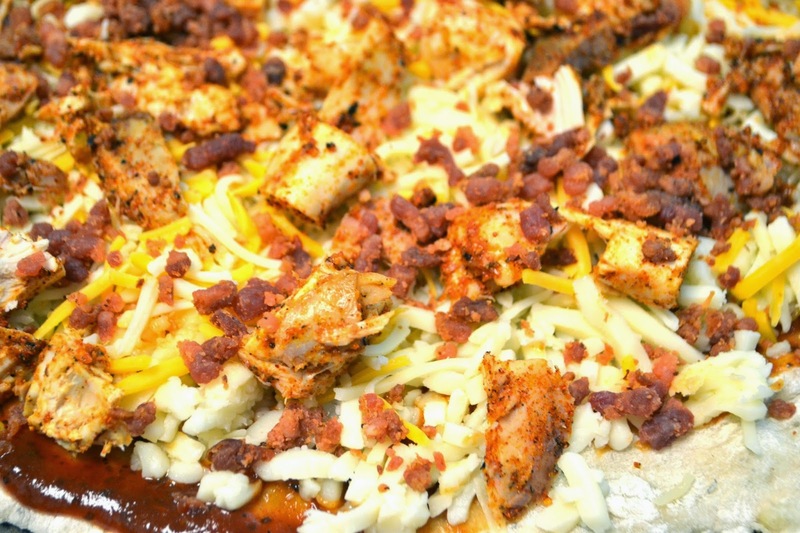 In another bowl toss together the precooked diced chicken with the bbq seasoning. Set aside. Place prepared pizza dough on pizza pan or stone. Spread pizza/bbq sauce over pizza dough. Sprinkle seasoned chicken and bacon bits over the cheese. 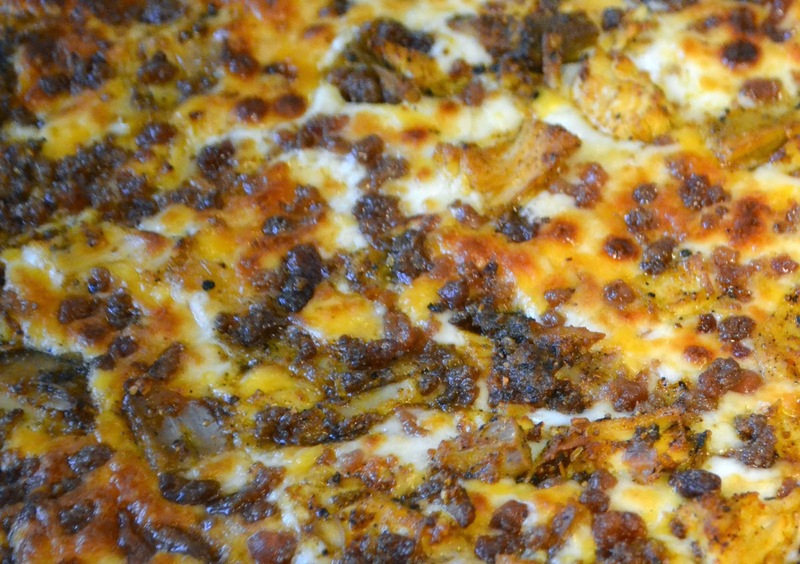 Top with any optional toppings such as onions. Bake at 425° for 12-15 minutes or until crust is lightly golden and cheese is bubbly. Wow - this looks so yummy! Definitely going to be making this very soon as I am quite sure my family will love it! Definitely going to try these, thank you ! BBQ is hands down my favorite flavor/smell of summer. Love that you put it on a pizza!